Martin on the demise of one of my favourite bloggers, On a Raised Beach, and on the passing of Portuguese Stalinist novelist Jose Saramago. Here’s Irving Howe and Benjamin Kunkel on Saramago from the archives of Dissent. Gathering Forces: State Capitalism and the Break with Trotskyism (on the Johnson-Forest Tendency in 1950). Marko Hoare on the Miliband brothers and the New Left Review – a little insight into the aristocracy of the new left from the son of a key British Marxist and an ex-member of Labour Party Young Socialists. Harry Barnes has a different view, and calls for more Ralphism (also at Next Left). The World Cup and the Mothers of the Plaza de Mayo. Le Chant des partisans: Coatesy’s homage to the Free French. Nick Cohen – homage to Pilar Rohala, a Catalan socialist anti-Islamist. 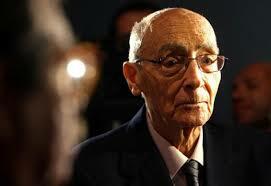 Interview with José Antonio Gutiérrez, Chilean platformist anarchist in exile (via At Home). On French Stalinism yesterday and today. Hugo Chavez revives the Doctors’ Plot. James Connolly and John Ford. 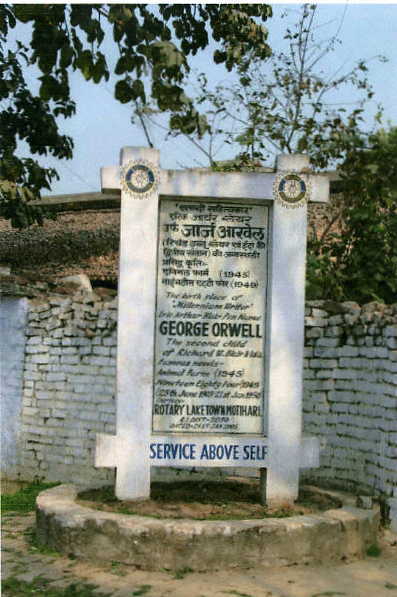 George Orwell… was born in Motihari in 1903. His father Richard Walmesley Blair was a deputy posted in the opium department in Bihar. However, when he was one year old, George left for England with his mother and sister. 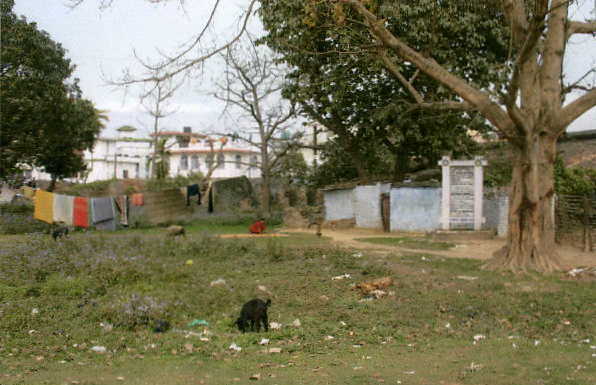 Until recently, the town of Motihari was largely unaware of its connection to Orwell. 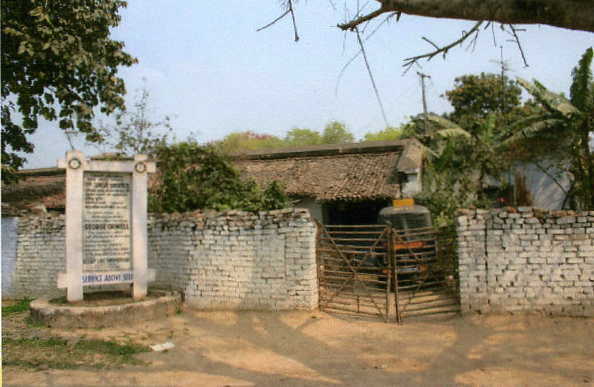 In 2003, Motihari discovered its role in Orwell’s life when a number of journalists arrived in the city for Orwell’s hundredth birthday. Local officials are making plans for the construction of a museum on Orwell’s life. The place may also be marked in the tourist map. Read an account of a visit to Motihari here (with a nice picture gallery, from which this post’s illustration comes). See also: Bhiharscoop; Jakarta Globe. 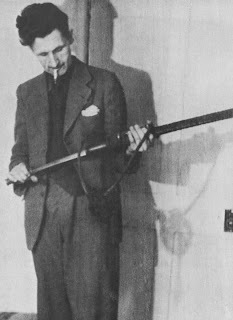 George Orwell arrived in Spain in December 1936 to observe and write about the Spanish Civil War. Almost immediately, he traded in his pen for a gun to serve as a voluntary soldier against Franco’s Nationalist Fascists. Six months later, after a bullet in his neck nearly killed him, and another anti-Fascist faction that was supposed to be fighting on the same side as him became an even greater and dangerous enemy than the fascists, he and his wife Eileen were forced to flee for their lives. Seventy-[three] years ago today on 23rd June 1937, they crossed the border into France and safety. I read this post from Rustbelt Radical last year, a few months after it was posted, and it moved me greatly. Rather than link to it then, I thought it would be good to save it for the anniversary this year. It is Victor Serge’s tribute to a great man and his indictment of Stalinism. The memory of Stalinism in the collective mind is often focused on the gray tower bloc and the gulag, on the cult of personality and the official lie. Stalinism’s perfidy was not limited, however, to razor wire on the Siberian steppe or to the assassination chamber of a spattered Moscow basement. On this day in 1937 in the midst of the Spanish Civil War Andrès Nin, a leading member of the Workers Party of Marxist Unity (POUM), was murdered by Stalinists. Stalinism’s raison d’être, like all bureaucracies, was the defense of itself and the greatest threat to it came from the working class it claimed to lead. Perhaps nowhere was that threat greater than in the Spain of the 1930s. Nin was a partisan of workers’ power, of workers’ democracy- ideas fatal to Stalinism. He was murdered along with thousands of others in the name of “anti-fascist unity”; that is unity between the Stalinists and the ghosts of the liberal Spanish bourgeoisie. The fascists won and ruled Spain for the next 40 years. Never forgive, never forget. 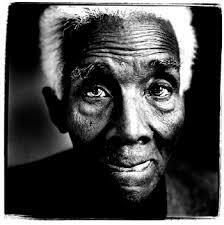 I see via a post by Lady Poverty that there is a newish CLR James collection from AK Press, reviewed here by Rico Cleffi in the Indypendent. Everything is a commodity. My glasses are a commodity, cigarettes are commodities, tea is a commodity, the gramophone is a commodity, the tape recorder is a commodity — everything is a commodity. The important thing that I want you to remember in your study of Capital is Marx’s insistence that the particular commodity that is important in the study of capital is the labor-power of the individual. In all societies that are in any way developed, there is commodity production. But that the man sells his labor, his labor-power — a commodity — to the capitalist, Marx says, once you begin there, the whole of capitalist society grows from that; that the labor-power of the human individual is sold as a commodity. Champagne Charlie on why Orwell got it right about Dunkirk, and Rosie Bell reading Orwell’s diary from that time. Mike E of Kasama, whose task is to rejuvenate some of the most moribund elements of the Marxist-Leninist tradition, has a post on Kronstadt that is very sophisticated, but in my view better described as sophistry. Bermuda radical also publishes a piece from International Socialism attacking the “myth” of Nestor Makhno.